The Architecture, Urbanism and Global Heritage (AUGH) Research Centre focuses on the investigation of human aspects of architecture, spatial practices, urban heritage, material culture and the built environment within the ever-changing urban and social structures of contemporary cities forcing new territories of interaction, innovation, creativity and analysis. At AUGH, we approach design as a comprehensive process that take account of the influence and impact of human actors, either as individuals, groups, or communities. Architecture and urban heritage are essential domains through which the intellectual debate, negotiation and dialogue between the wide spectrum of theoretical, social, cultural, political, practical and technological concerns and determinants would help us to inform a better future of more sustainable and humane cities and built environments. The group's research interest covers a wide temporal span and geographical territory beyond the United Kingdom. The latter includes South Asia, the Middle East and North Africa, Central, Eastern and Southern Europe, and North and Latin America. Our architectural and urban history and heritage related work is leading group of the University’s World Leading Research Theme, Heritage Science and Management. This research group has led several pioneering research projects over the past decade that recording several architectural history and heritage in Belfast, Nottingham, Wolverhampton, Cairo, Berlin, Mexico City, Rome, and Riyadh amongst many others. This research group was founded in 2003 under the initial title of Architecture, Heritage & Global Difference (AHGD) by academics at Nottingham Trent University interested in the influence of current global conditions in architectural design education, theory and practice with an aim to bridge the distance between research interests across the University. It is currently based at the School of Architecture, Design and the Built Environment. As the Research group evolves with new members joining, the outreach and scope of our research keep growing with more partnerships and collaborations with national governments and international agencies. An underlying interest is the understanding of the mutually dependant relationship between culture, society and technology. Given the nature of the sphere of interest, the group is committed to an integrated approach to academic research and design creativity, closely working on staff and postgraduate research projects, design consultancy and its wider dissemination through publications, exhibitions, conference organisation and a strong web-based presence. This group's research contributed towards the Managing Heritage, Designing Futures: Heritage Documentation, Management and Master Planning in the Arab Gulf Countries, Impact Case Study for REF 2014. The group, through the email contact below is happy to receive email enquiries from prospective students/researchers wishing to undertake research in the aforementioned areas, as well as those mentioned under individual research staff. For academic enquiries please contact the Research Group Leader, Professor Mohamed Gamal Abdelmonem. For further information on business collaborations, please contact Chris Davison, College Business Development Manager. 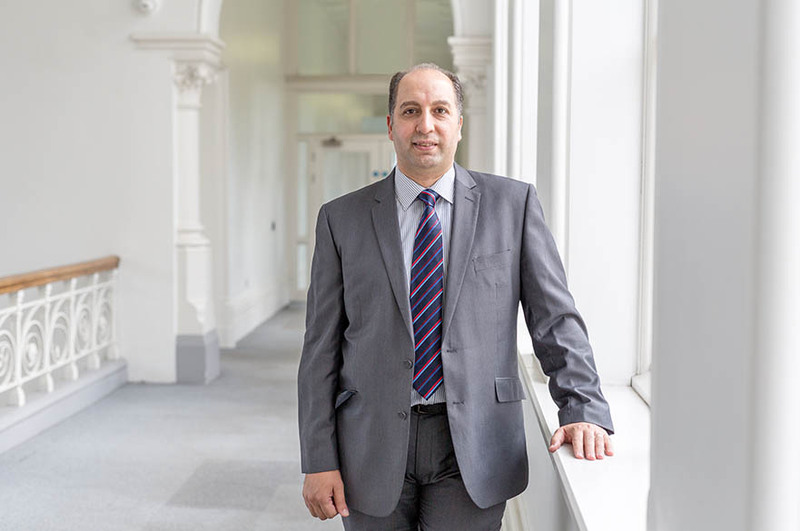 Professor Amin Al-Habaibeh has been appointed as Professor of Intelligent Engineering Systems within the Product Design team at Nottingham Trent University since August 2014. His research and teaching activities focus on several multi-disciplinary topics in the broad area of product design and energy. Amin is currently leading the Innovative and Sustainable Built Environment Technologies research group (iSBET) and co-founder of the Advance Design and Manufacturing Engineering Centre (ADMEC). Amin has strong links and collaboration with industry including eight years as the industrial placement adviser and over 20 years of industrial research and collaboration. 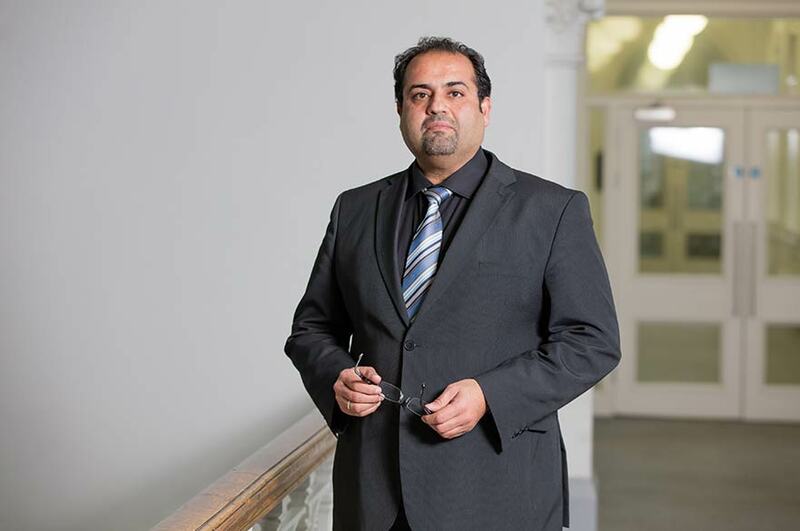 Amin is a Chartered Engineer and member of the Institution of Engineering and Technologies (The IET) and past chairman of the IET for the East Midlands Region and Derbyshire/Nottinghamshire local network panel. 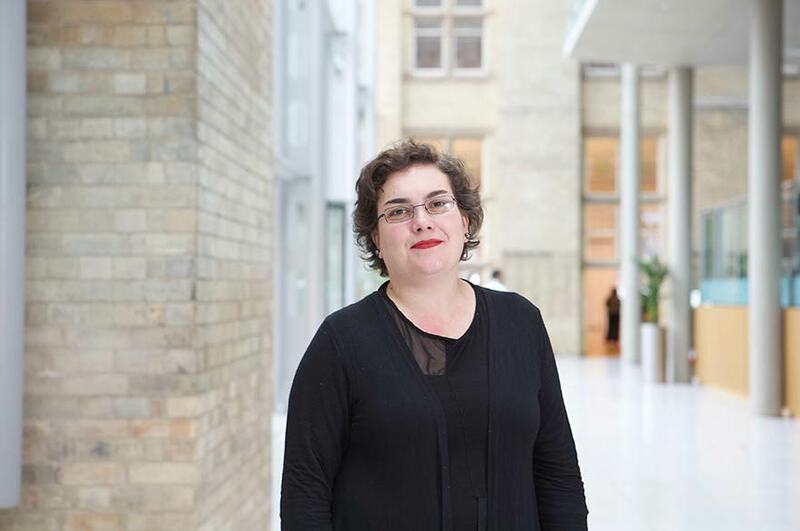 Dr Souto is a Senior Lecturer in Architecture at the School of Architecture, Design and Built Environment. Heplays a key role in the development and leadership of the research modules on undergraduate and postgraduate courses in Architecture. She is also part of the supervisory teams for PhD students. Ana's research interest lies in architecture as a cultural manifestation of national identity. In this context she dealt with the search for national identity in post-revolutionary Mexico, and the connection between identity and architecture in the pavilions built for the 1929 Iberoamerican Exhibition in Seville. 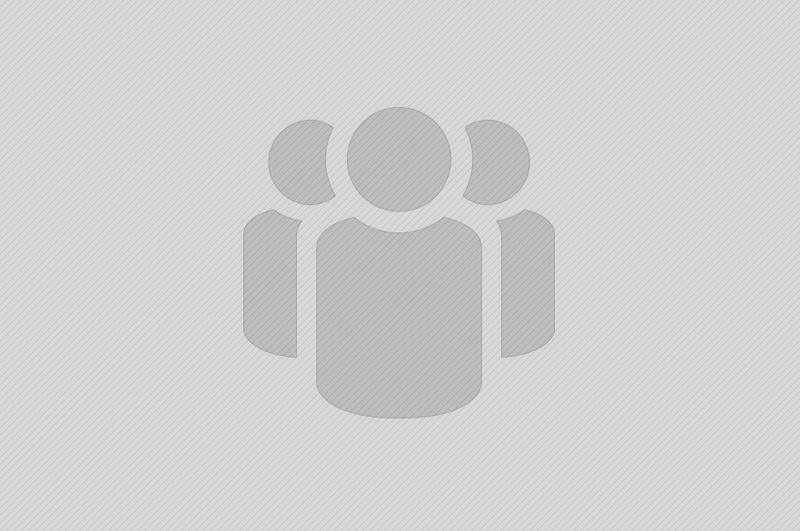 Ana is currently involved in an interdisciplinary project which deals with ideas connected with identity, memory and culture, using a participatory methodology. Mr Pidduck is a Senior Lecturer in Property Management and Development. His work focuses on Building Surveying in Design, Building Services and Sustainability. Antony's special interest is in Heritage and Conservation including retrofit and recording. Antony has worked as a Building Surveyor and with an architectural practice leading refurbishment projects and lighting design. Antony works on sustainability in buildings through the IsBET group. Antony’s main research interests are: Historic Building Management, Digital Information Systems, Digital Recording and Sustainability in Buildings, and Information Systems Integration. Dr Pastor is a Senior Lecturer in Architecture & Interior Design, with extended record in leading research projects on Architectural History of Hispanic Architects. Dr Pastor holds a MArch and a PhD from the Polytechnic University of Madrid (UPM). Her PhD research is based on the work of Julio Lafuente, declared of historic and artistic interest by the Italian Ministerio dei Beni e delle Attività Culturali e del Turismo. Dr Pastor is author of the unpublished Catalogue of his work and co-responsible for organising his Archive in Rome, in collaboration with Studio Lafuente and the Italian Ministry of Culture. Dr Ramos is a Senior Lecturer in Architecture. She has strong research background in technology, sustainable architecture and structure. One of Marisela's research focuses is the design of transformable structures and their application in architectural design for sustainable architecture. In addition, she is interested in the impact that interior lighting design has on the health of the users of a building, and the integration of technology and lighting design. Guillermo Garma; Topic: “Architectural Theory + Practice: The study of the role of theory post Jose Villagran in contemporary Mexican architecture”. As part of the AHRC-funded Network, Virtual Heritage Cairo, Professor Mohamed Gamal Abdelmonem (Network Chair and PI) of the School of Architecture, Design and Built Environment chaired the first international conference on Virtual Heritage to take place in the Middle East under the title: “SUSTAINING HERITAGE IN THE DIGITAL AGE: Towards Virtual Environments for Middle East’s Cultural Heritage”. The Conference attracted over 100 participants, speakers, scholars and technology developers and supported by the Egyptian government, British Council, Italian and Japanese Embassies in Egypt. The event was hosted by the Ministry of Antiquities at the National Museums of Egyptian Civilisation in Cairo, that was supported and inaugurated by UNESCO’s Director-General, Irina Bokova, two days earlier. The Conference took place on 20-21 February 2017. The Conference was widely covered by national media and broadcasting TV channels. The Centre for Architecture, Urbanism and Global Heritage is taking a leading role in supporting the International Conference of the Home Renaissance Foundation, the London-based Influential Think-tank, titled: “A home: a place of growth, care and wellbeing”. The conference will take place at the Royal Society of Medicine on 16-17 November 2017. The Conference in interdisciplinary in nature and take on the pivotal role of the home in health and social care. The Centre for Architecture, Urbanism and Global Heritage (AUGH) takes a leading role in the organisation of the 23rd International Conference on Virtual System and Multimedia 2017 (VSMM), in partnership with the main organiser, SMARTlab, the Inclusive Design Research Center of Ireland at University College Dublin. The World Leading Conference will take place in Dublin from 3 - 5 November 2017. Professor Mohamed Gamal Abdelmonem, the director of AUGH, is member of the Conference Committee and leading the Specialist Panel on Digital and Virtual Heritage. The Consultation of the reputed AHRC-funded project Virtual Heritage Cairo is to take place during the Second half of July at the Ministry of Antiquities and the National Academy of Scientific Research in Egypt through a series of events, public talks and engagement activities with stakeholders in the Country. The project was designed to bridge the disparate arenas of research, creative industry, skill training, and job creation in Egypt that responds to future and growing needs of technology-driven generations. It raised the awareness of new technologies and accessible online markets for innovative research while supporting heritage preservation, not only in Egypt, but in the Middle East. These reports and policy document collaboration identify, through research in digital recording and VR modelling, film-making and visualisation of cultural heritage, new territories for research, studies, courses and online markets, yet to be unravelled in Egypt and the region. Association with hi-tec Industry, research institutions and VR laboratories in the UK offered support for private sector start-ups and SMEs through training activities and interdisciplinary projects what would shift research landscape in Egypt towards more applied and practice-led research. The reports on Virtual Heritage introduce the first innovative and comprehensive review and guidance on the research and practice of virtual heritage in the region with planned long-term impact on the industry and on policy making institutions. We work with partners and collaborators on shared interests and projects that ensure innovation, applications and new solutions. We partner with governments, local authorities and national institutions to offer informed research-led policies, best practices guidelines and decision making procedures. We also work with architectural practices, heritage associations and civic trusts to engage communities and local charities to advance and exchange knowledge of architecture, history and identity of the built environment and urban spaces. The Department of Environment, Heritage and Local Government (DEHLG), Republic of Ireland. Digitisation of heritage through customs, photo archives, film footage, oral history documentaries and buildings has become central for the preservation of national identity and an effective tool in national strategies of undermining radical ideologies in marginalised communities. Virtual environments which encompass cultural heritage and are represented through digital media are often categorised as ‘virtual heritage’. Modern media and technologies offer the possibility to experience virtually reconstructed historic sites as visitors, travellers, or even as a resident. Although virtual heritage possesses great potential to reconstruct our heritage and memory, critics often blame high cost, sophisticated hardware and software requirements, inaccessibility of technology and training, and high maintenance for preventing widespread dissemination and use of virtual heritage platforms. Virtual Heritage Cairo aims to uncover a conceptual framework for the development of virtual heritage platforms as a research, educational and engagement tool that brings historic spaces and buildings back to the recognition of the public eye of the ordinary user. It not only reproduces historical scenes through physical modelling of archaeological sites or data, but, more importantly, through serial narratives where life is explored and practised in motion, and where cultural-feed brings meaning, experiences and understanding to the socio-cultural context. The project will developed a database of case studies of examples of virtual heritage platforms that offer a variety of methods, techniques, contexts, and outputs that are suitable to different purposes and audiences. It further led a series of events, collaquiums and training workshops that aimed to train young professionals, and entrepreneurs on advanced techniques and applications of Virtual Heritage. The Project mentored and supervised the production of virtual heritage environments for five distinctive historic sites and monuments in Medieval Cairo. In Collaboration with The Department of Environment, Heritage and Local Government (DEHLG) of the Irish government and Loci Consultants, Professor Mohamed Gamal Abdelmonem led a team of scholars and researchers to review and edit the Local Area Plans: Guidelines for Planning Authorities as official government policy document and authored the Best Practice Manual that gives exemplar procedures, processes and case studies that local planners could follow in their planning exercises. This project was funded by the Irish Government Policy on Architecture and the Main Partner was Queen’s University Belfast. The Planning and Development Act 2000 introduced the concept of local area plans. Within the framework of higher-level plans (such as Regional, City and County Development Plans) local area plans provide more detailed planning policies for areas where significant development and change is anticipated, without having to prepare very detailed local planning policies and objectives for many specific areas within city and county development plans. Statutory Local Area Plans provide for proper consultation with the public and statutory consultees, and are subject to approval by elected members. The Act led to a rapid increase in the number of local area plans what made co-ordination of development with the provision of necessary public infrastructure and implementation of strategic planning policies such as the National Spatial Strategy and Regional Planning Guidelines more difficult. Accordingly, the Planning and Development (Amendment) Act 2010 introduced important new legal obligations on planning authorities to ensure that both existing and future local area plans comply with new core strategies which have been incorporated into city and county development plans. These new core strategies establish an evidential base for the zoning of land at national, regional and local levels through quantification of need and requirements for alignment of the quantity of land to be zoned for development, especially for residential purposes, between plans at national, regional and local levels. The project examines the role of shared spaces in divided cities, such as Belfast and Londonderry in Northern Ireland, in promoting future sustainable communities and spaces described as inclusive to all. It addresses the current challenges that prevent such inclusiveness and suggests future trends of its development to be of benefit to the wider city community. It explores how spaces in divided cities are carved up into perceived ownerships and territorialised areas, which increases tension on the shared space between territories; the control of which can often lead to inter-community disputes. The paper reports that common shared space in-between conflicting communities takes on increased importance since the nature of the conflict places emphasis on communities' confidence, politically and socially, while also highlighting the necessity for confidence in inclusion and feeling secure in the public domain. In order to achieve sustainable environments, strategies to promote shared spaces require further focus on the significance of everyday dynamics as essential aspects for future integration and conflict resolution. An initiative that aims at bringing together all those involved with the public space in Nottingham; a platform for dialogues between communities across Nottingham based on co-creation of knowledge and co-design. This project is based on the work of Julio Lafuente, whose Archive has been declared of historic and artistic interest by the Italian Ministerio dei Beni e delle Attività Culturali e del Turismo. I am author of the unpublished Catalogue of his work and co-responsible for organising his Archive in Rome, in collaboration with Studio Lafuente and the Italian Ministry of Culture. Spaces of Liberation is a research collaboration initiative that involves research centres and institutions from Europe, North America and the Middle East and aims to study, investigate and analyse the changing socio-spatial practices and dynamics of urban squares in the contemporary city in light of the extensive revolts and protests that not only emerged in the Arab cities of Cairo, Tunis and Sana’a and Damascus during the Arab Spring but also appeared in Madrid, Athens, and Rome in addition to the riots in England over the summer of 2011, and Anti-nuclear Protests in Tokyo. The Project team includes Professor Mohamed Gamal Abdelmonem and Dr. Gehan Selim from Queen’s University Belfast. Spaces of Liberation team leads research projects of inter-disciplinary nature that involve topics in Urban Studies, Architecture, Social Sciences, Political sciences, Psychology, Media Studies. This research endeavour helps to define new forms of urban space that no longer represent the mere venue of social-political sphere, but become the venue for everyday democratic practices of liberty, spatial & virtual communications, cultural exchange and negotiation of ideology and political position. It tries to monitor the negotiation between liberal values and public views from one side and the traditional democratic/ none-democratic state institutions. The team attended a conference on the subject at the University of California, Berkeley. The Centre is a group of artists, architects, designers and cultural theorists from England, Scotland, Norway, South Cyprus and Lithuania, whose practices, individually (and collectively), seek to consider the nature and value of space and spaces, public as well as marginal, across Europe. This is a program focused on designing strategies for quality low-cost building, conceived to explore new and optimised solutions. Dr. Marta has built affordable facilities with students based on sustainability principles in Colombia, Kenya, Madrid and México, working closely to local communities. 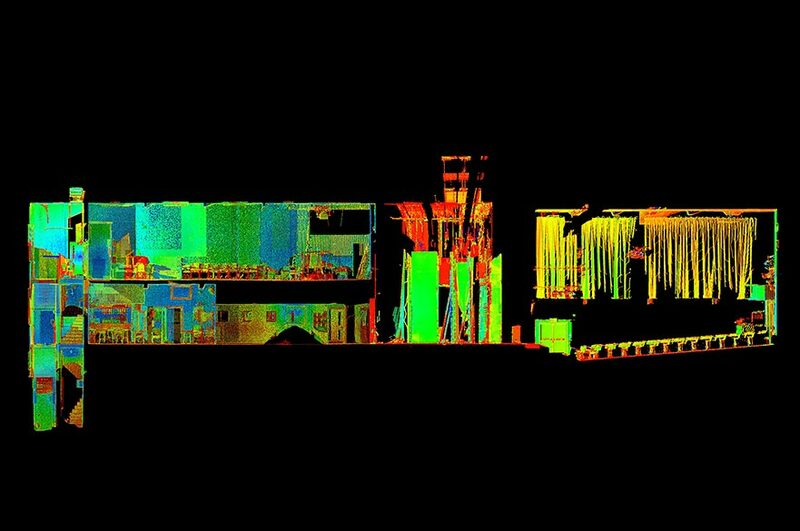 Our Research Team has state-of-the-art laser scanners and digital system to record, scan and process architectural features of historic buildings. This is an internal space of Nottingham Arts Centre in Hockley Nottingham. More information is available from teaching-based research blogs such as ESAYT, ESAYT 2012 and ESAYT 2013. If you would like to find out more about the Centre's work or any requests or interests of Collaboration, please email, phone us or get in touch via our social media channels.